I’m very, very sensitive to chemicals; not just the ones everybody knows are dangerous, but the ones people use every day on their bodies and in their bathrooms and kitchens and on their sofas and in their yards. And what happens to me when I am exposed to those chemicals is not trivial. The sore throat and headache and heavy chest were uncomfortable, but not enough to stop me from living my life. What stopped me was when I began to lose my mind. I don’t mean that I become overwrought and anxious. I literally lose my mind when I’m exposed to chemicals. I mean, I lose IQ points. I become stupid. I also lose my ability to function normally due to exhaustion and pain. Neurological symptoms such as numbness and tremors are also part of the mix. That’s not okay with me, and that’s why I avoid triggering chemicals. The social implications are enormous. It’s not just that I have to be careful about what I use in the shower, or what I use to clean the toilet, although that’s part of it. It means I have to avoid other people who use the things that I can’t use. I can’t go into their homes or be close enough to them to hold a comfortable conversation. Public areas like places of worship and schools are very difficult places to be. My unfortunate victim looks away, searching for a graceful escape. “Oh really?” she says, “I didn’t know that!” all the while thinking, What a loon! I use fabric softener every day and I’m fine. My face reddens as I quickly change the subject, mentally slapping my own wrist for creating an uncomfortable moment. I have not had to stop meeting at my place of worship, the Kingdom Hall. This is because I am allowed to sit in a back room with my air purifier and my family. Behind a wall of windows, I am able to see and hear the meeting. It is a blessing. But I always wish I could be on the other side of the glass. Sometimes I wear a mask to keep me well in toxic situations. It gives a measure of freedom. Without that little piece of carbon and fabric, driving our new-smelling car, exhaust fumes pouring in through the vents, would be out of the question. Using a fragranced public restroom would be a nightmare. Even visiting some of my friends is sometimes made possible by the mask, but that is something I rarely do. I’ll tell you why. I hate the mask. We all wear masks. But the difference between the mask I wear and mask you wear is that yours is probably socially acceptable. In his book The Love We Share Without Knowing, Christopher Barzak wrote that “nothing is more real than the masks we make to show each other who we are.” The way we dress, the way we do our makeup or hair, and the expressions we wear on our face are all masks. Sometimes they reveal who we are, and sometimes they conceal, if that is our intention. But when I wear my mask, the only message I project to the world is one of fear. The mask says, “I’m afraid. The world is a dangerous place.” But that is not what I want to say. I don’t want to mask my humanity, I want to reveal it. Oliver Wendell Holmes said that ” without wearing any mask we are conscious of, we have a special face for each friend.” I want to reveal the special face I have for each of my friends. I want my friends to understand just how happy I am to see them. And just like I want to be able to look into the face of a friend and read his or her emotions and intentions, I would like for my friends to be able to see my face and read me as well. Masks tend to frighten us, and for good reason. Faces reveal intentions. We cannot read a masked face, and for that reason we associate masks with bad intentions. Villains wear masks: Phantom of the Opera, Jason, Hannibal Lecter. I frighten children when I wear my mask. There is nothing worse than looking into a child’s eyes, seeing fear, and knowing that I am the cause. That alone is reason enough for me to leave the mask in my purse. 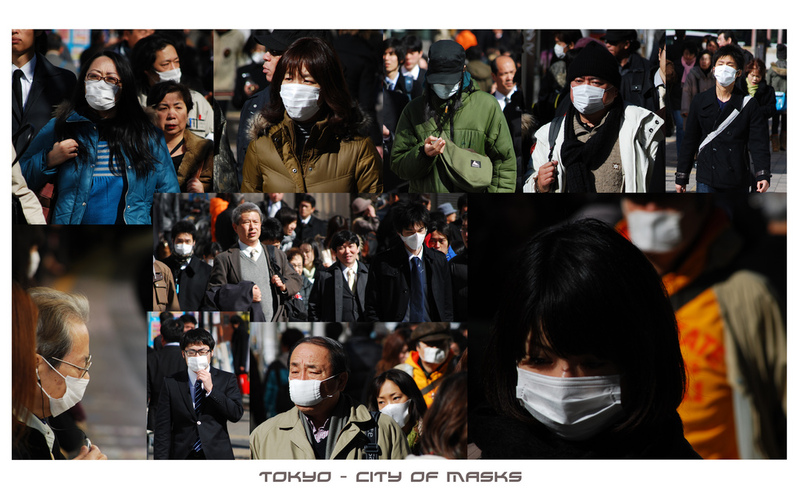 What is the first thing that comes to mind when you see someone wearing a mask in public? The first thing that comes to my husband’s mind is that the person is a thief or a terrorist. He becomes very uncomfortable if he has to be seen in public with me in my mask, and I don’t blame him. I’m uncomfortable being seen in public in my mask. Others have told me that their first thought upon seeing a masked person is that the person may have cancer or AIDS and needs protection from germs. I don’t want people to think that about me. And as if all that were not enough, carbon filter masks just don’t work very well. They’re somewhat helpful for nuisance-level pollution, but they’re worse than useless in a truly toxic situation. I once thought that I could enter a feed store as long as I had my mask on. I was mistaken. The mask was no match for the overpowering pesticide fumes. I was sick for weeks, and it all could have been avoided if the mask had not given me a false sense of security. But just like Dug did not like his “cone of shame”, I do not like my mask of shame, and I long for the day when I will never have to wear it again. I don’t want to be this way. I’m not trying to make a political statement about chemicals. My body does that for me. 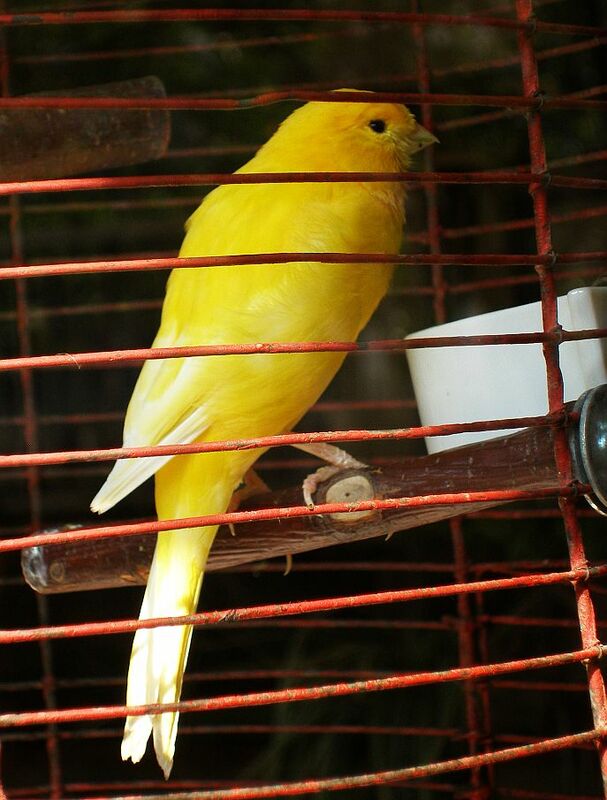 I am an unwilling “canary in the coal mine” . In my day-dreams I imagine myself surrounded by people: all my closest friends, my family, and new faces too. On my face there is nothing but a smile and between me and my friends there is no glass. I am free. Good Health For All – Soon! This entry was posted in environment, Environmental Illness, Mental Health, Multiple Chemical Sensitivity, Uncategorized and tagged chemicals, dangers of fragrance, dangers of perfume, environmental illness, MCS, multiple chemical sensitivity, perfume, pollution mask, TILT. Bookmark the permalink.